Exercise classes are a brilliant way to get fit and improve your health. You have the support of your instructor who will motivate you to meet those fitness goals. Our friendly instructors also make sure you’re doing things right to get the maximum benefit from your class. They’ll also challenge you and encourage you to do more than perhaps you thought you could, helping you develop and maintain your fitness. You’ll join like minded people in your class, giving you the psychological support you may need to come to the club and reach your goals. We often find members meet and make friends in class, then stay and relax in the café here at Bluecoat Sports after the class! Our timetable is jam packed with plenty of different types of classes, so you’re bound to find several classes, if not more, which you enjoy! With over 90 classes, there’s something for all the family – Pilates, Les Mills or perhaps Parent and Baby Swim? You can also jump on the bikes with Indoor Spin or join us for TRX Suspension Training. If you’re not sure what a class involves, please do ask as one of the Bluecoats team will be happy to help answer questions you have. As a member of Bluecoat Sports, you can join all our classes free of charge as they are included in your membership. 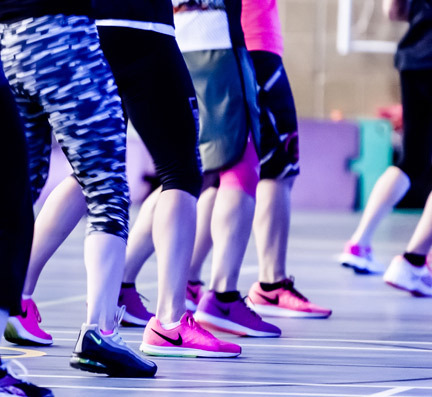 You also get priority booking as members can book exercise classes up to 7 days in advance, whilst non members only have 5 days advance booking time. Some of our classes are members only too! You don’t even have to pick up the phone to book your classes. Just work out from the online timetable which classes you (and the family!) would like to book and then with just a few clicks, you can easily book online. If you’re not yet a member and would like to take full advantage of our extensive classes timetable, you can join online here.